Display all of your treasured awards, medals and memorabilia in this one piece Flag and Memorabilia Display Case. 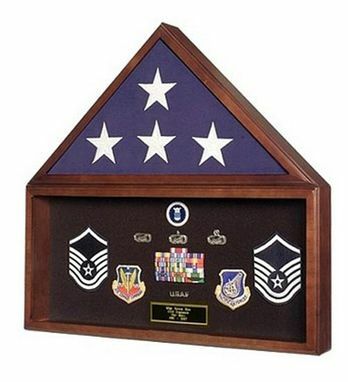 Features include a glass front on the flag case and an acrylic front on the display case. It has turn-button closures on the back of both compartments for easy insertion of flag and memorabilia.